Children all over Ireland are being asked to bring their imaginations to life, grab their pens, crayons and paintbrushes and get doodling as the deadline approaches for this year’s Doodle for Google competition. With entries closing on Saturday 26th of November, students have only a short time remaining to enter their doodles for this year’s ‘If I could create anything it would be…’ theme. The prizes for this year’s doodles include a €5,000 scholarship towards the student’s third-level education, with their winning doodle also appearing on the Google.ie homepage for 24 hours. In addition, the overall winner and their teacher will receive a Chromebook laptop each, with their school also receiving a €10,000 technology grant. Five other category winners and their teachers will also receive Chromebooks. Fionnuala Meehan, VP and Site Lead of Google Ireland said “Doodles are meant to surprise and delight people when they visit the Google homepage and past doodles have celebrated some of the most brilliant, talented, and passionate people throughout history. Creativity and technology go hand in hand and I’m constantly amazed at the talent and imagination of students in Ireland. 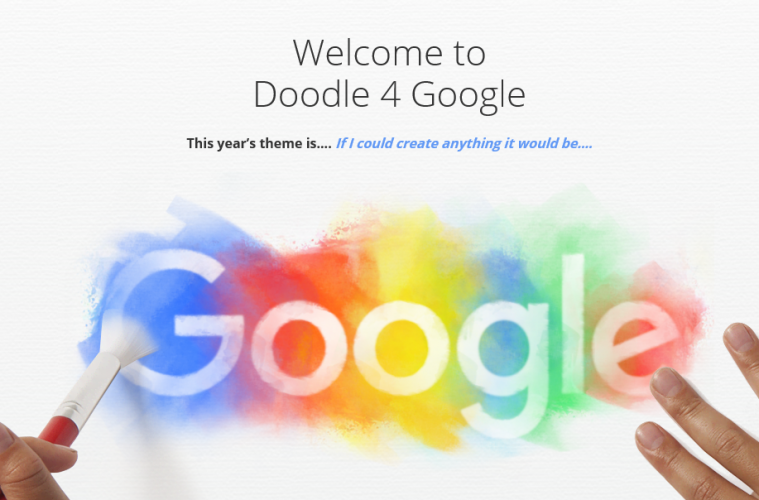 The 75 finalists will have their doodles displayed on the Doodle 4 Google website and the general public will be able to vote for their favourite doodle. The winners of each category will go attend the grand finale event in the Google headquarters in Dublin where they overall winner will be chosen.